Over the years, Dynamics 365’s Knowledge Management features were enhanced. As part of the enhancements, new entities were introduced and old entities were left untouched for backward compatibility reasons. 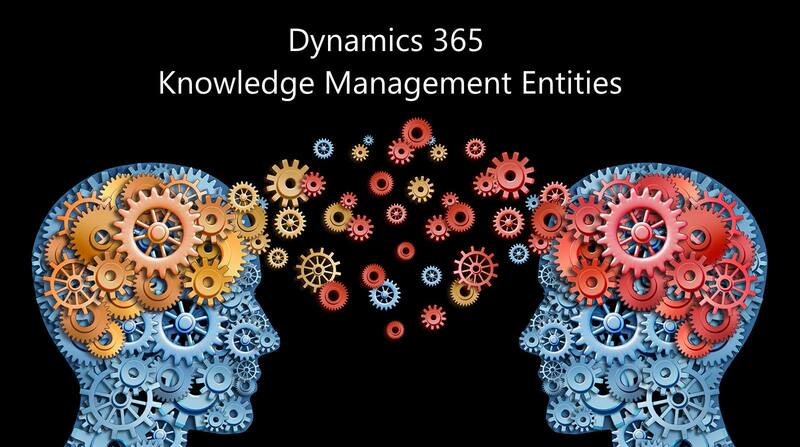 Now, Dynamics 365 includes many Knowledge Management related entities and it can be confusing to new users and even experienced users if they are not working with these entities on a regular basis. In this article, I will clarify the purpose of each entity. 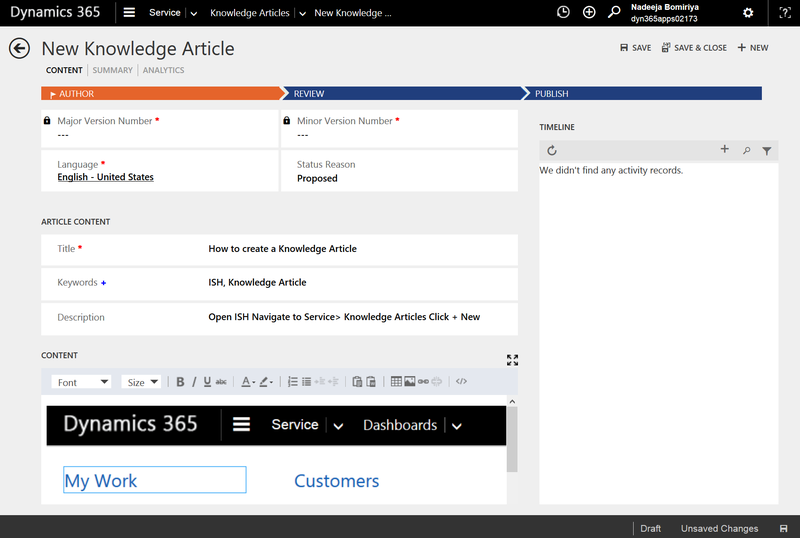 This is the legacy Knowledge Base Article entity supported by almost all versions of Dynamics 365. While this still exists, Microsoft recommends using the new KnowledgeArticle entity. Along with kbarticle entity, kbarticlecomment and kbarticletemplate entities has been deprecated. Please see the articles below for more information. Click Save. Click Submit. Click Approve. 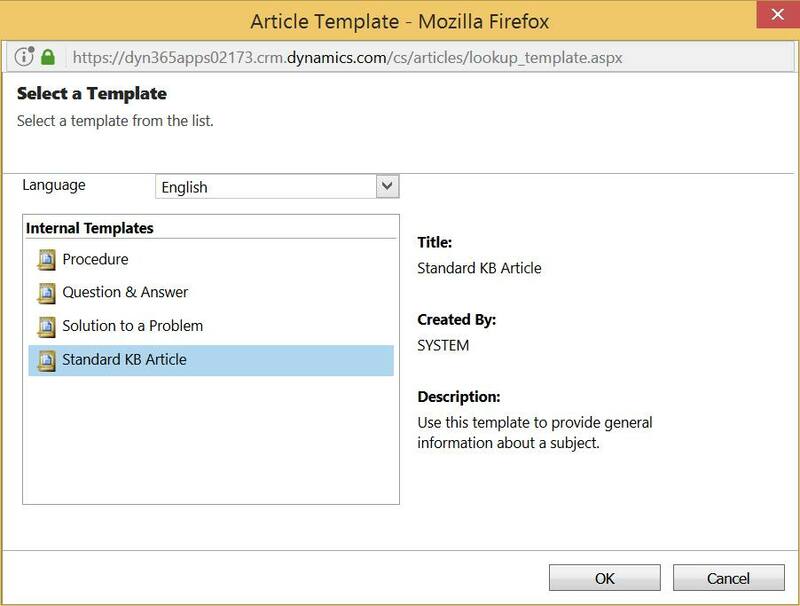 Adxstudio Portal’s (Version 7.x) Knowledge Base utilises kbarticle entity. Knowledge Base Record entity is used specifically for Parature Integration. Knowledge Base Record entity contains metadata of a Knowledge base record in Parature. Parature is a cloud-based customer engagement solution which Microsoft acquired in 2014. Enterprises can deploy Parature to provide self-service capabilities to their customers. Microsoft has built and continue to enhance a new Knowledge Base System natively in Dynamics 365 and utilises Dynamics 365 Portals to provide self-service capabilities. Therefore, Parature is not the recommended knowledge base system for Dynamics 365. The Knowledge Article entity is the latest Knowledge Base entity used by the new Knowledge Management System powered by Interactive Service Hub. 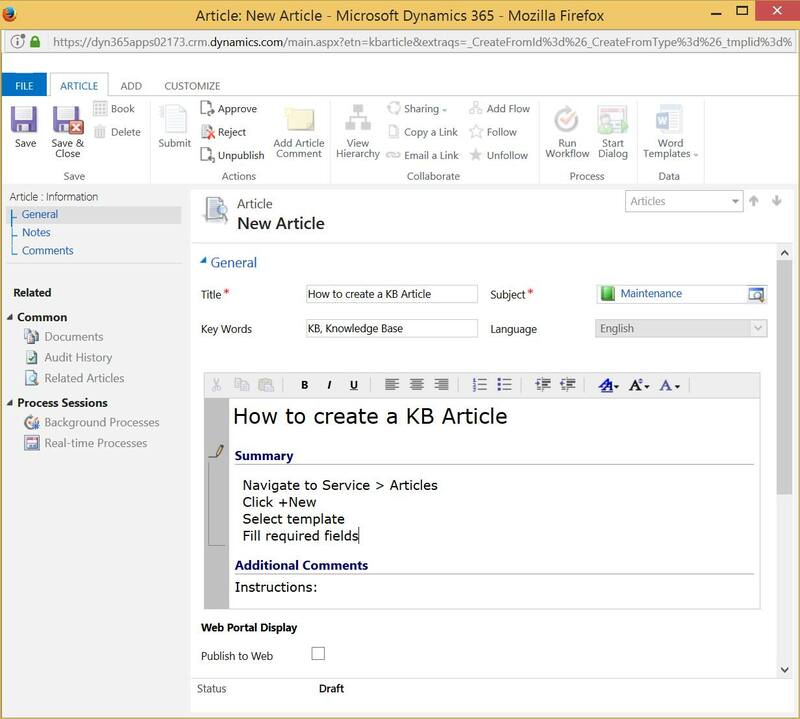 Introduced in Dynamics CRM 2016, the new Knowledge management System includes features such as embedding external images and videos, article versioning, and translation. Click on the Access it here link in the yellow bar. Click Save. Click Review to Approve or Reject. Select Appriove. Confirm approve article? Click OK.
Change Set Product Associations to Completed and set a value to Set Expiration Date.